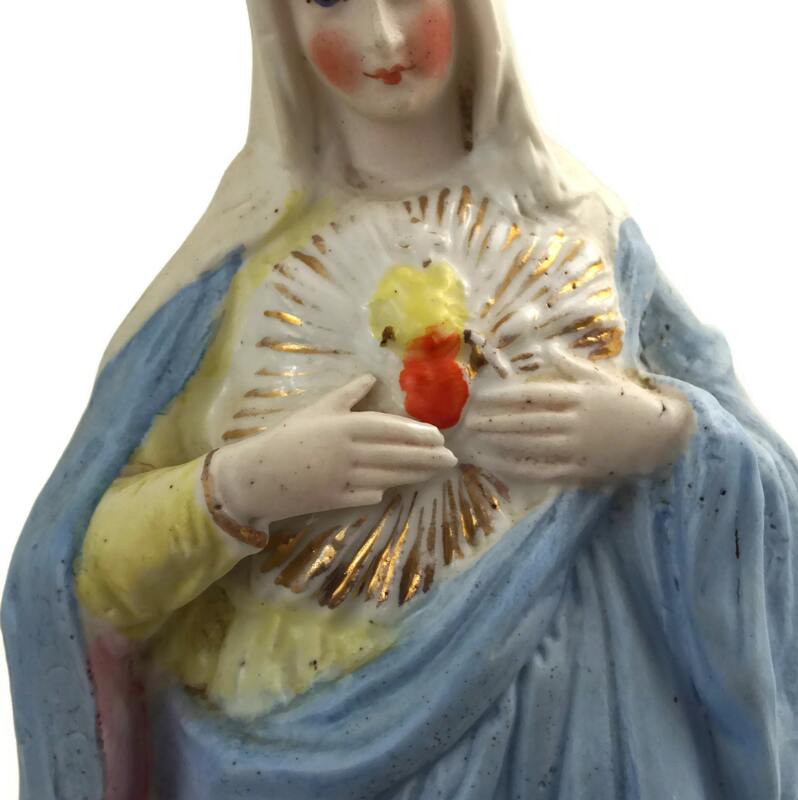 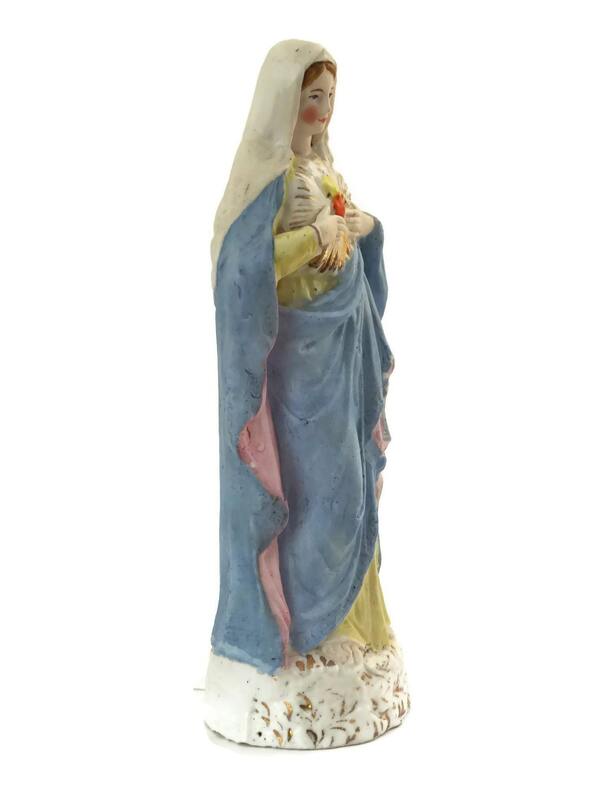 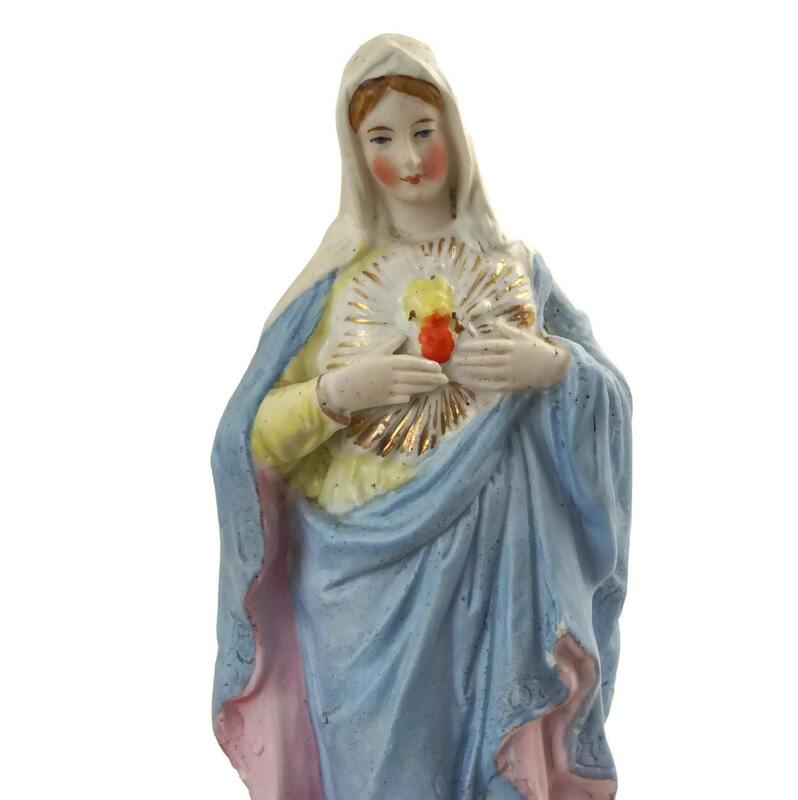 A charming vintage French statue of the Sacred Heart of Virgin Mary. 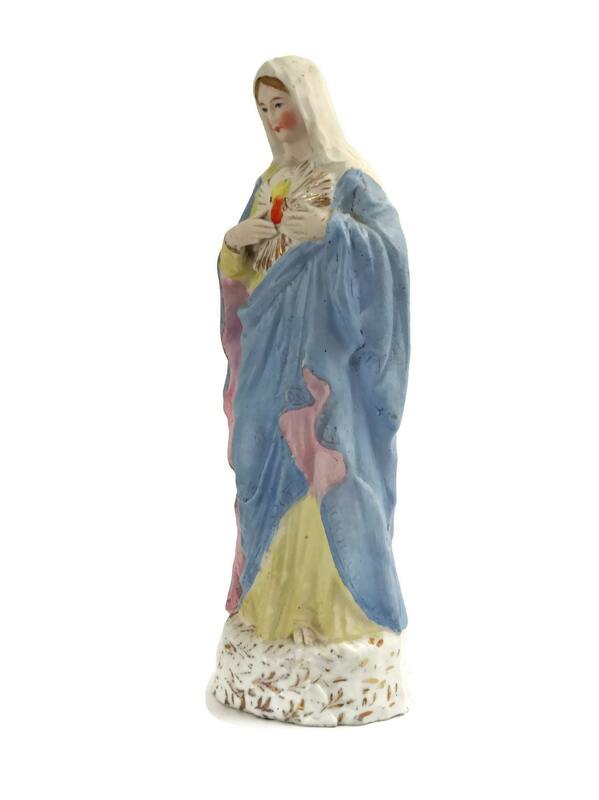 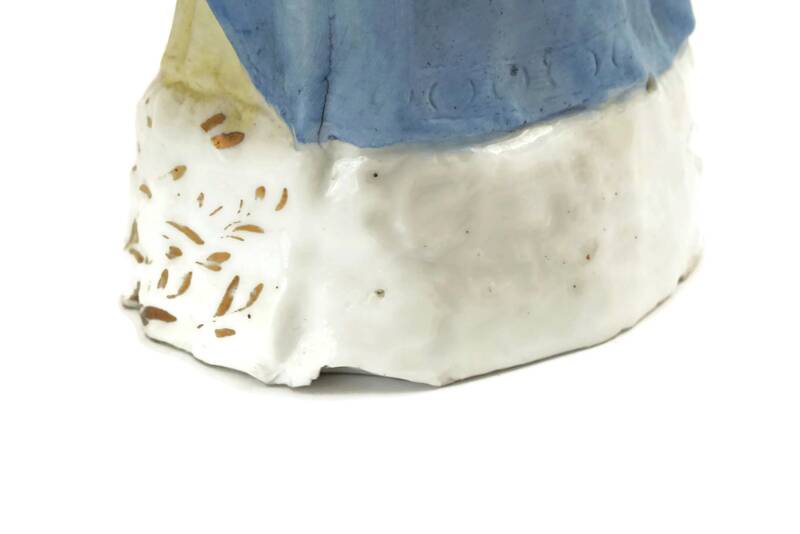 The figurine has been created from bisque porcelain and has been beautifully hand decorated in pastel shades with gold accents. 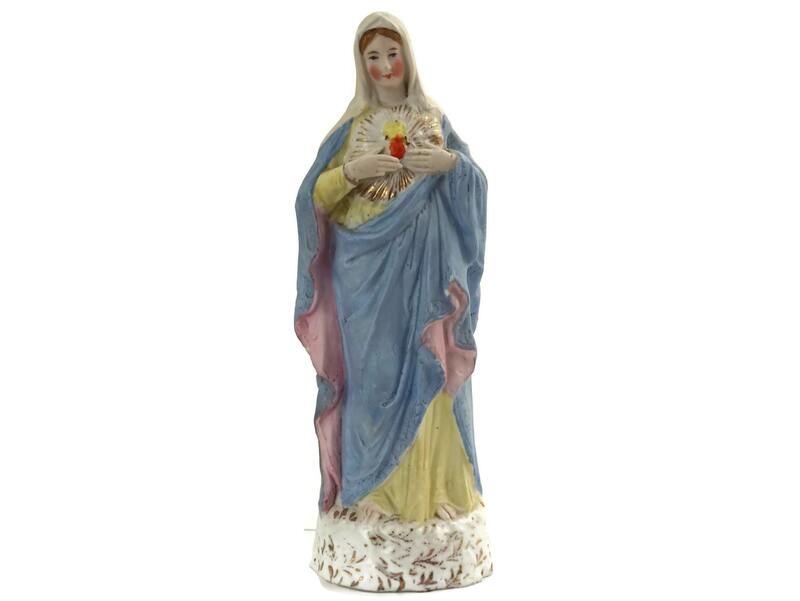 The figure of Mary stands on an ornate pedestal base which has been decorated with the gilt leaf patterns. 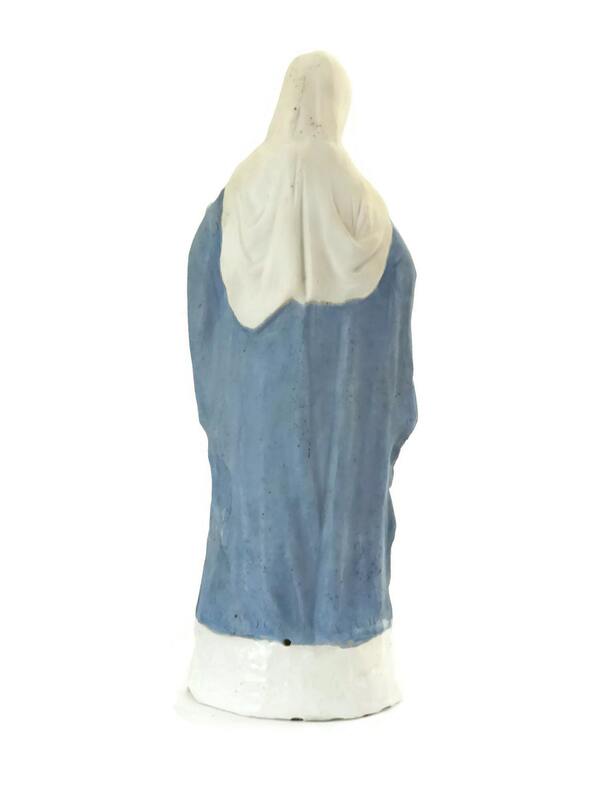 (23 cm x 32 cm). 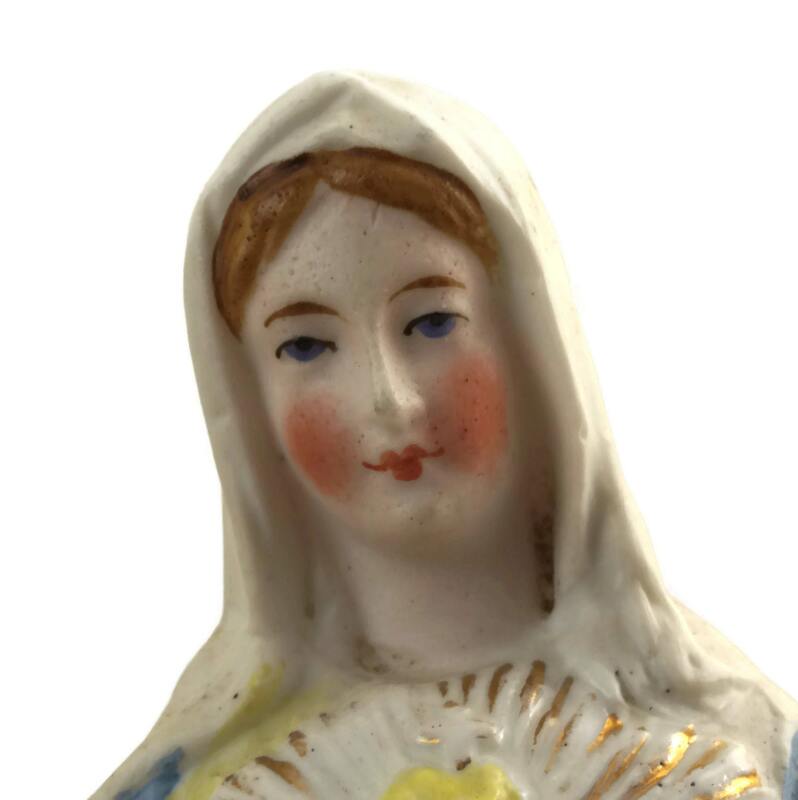 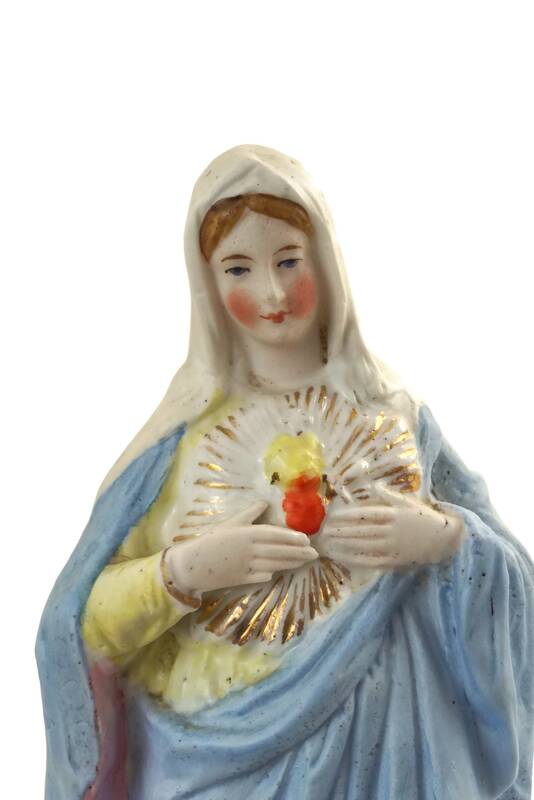 The statuette of Mary is in very good condition with some signs of age. 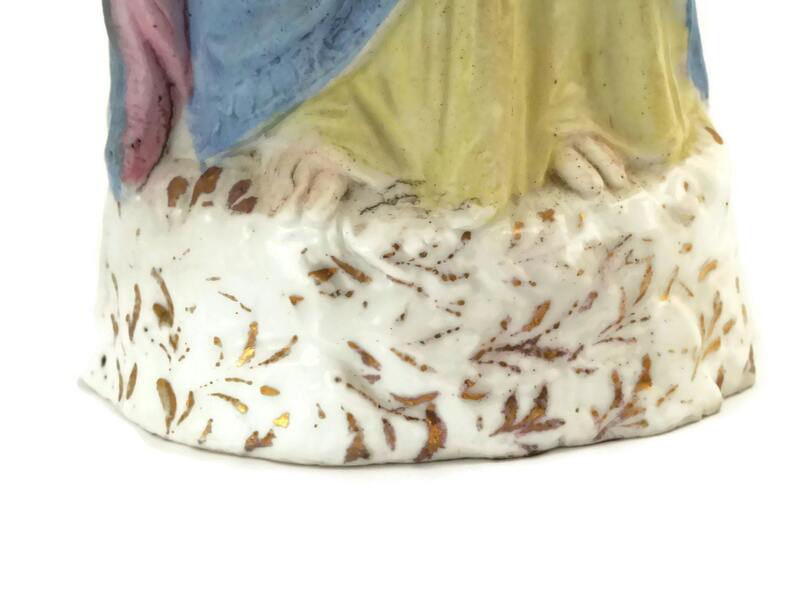 There is a tiny chip to the end of one of her fingers and a flake to the underside.